I love gingerbread. It might possibly be my favourite cookie flavour! I really wanted to make gingerbread this year and asked on social media for some recipes! This recipe is adapted from Bizzy Lizzy’s Good Things Spiced Treacle Gingerbread Biscuits. Thanks Liz for sharing it! Not bad for a first attempt making cookies from scratch, eh? I loved the result. It took a lot of self control not to gobble all of these up! Line two biscuit trays with baking paper. If you are grinding your spices yourself (with a spice grinder), do this now. Beat the butter and sugar in a bowl (or in a food processor) until light and creamy, then beat in the whole egg and egg yolk. Fold in the rest of the dry ingredients (the combined sifted flours, spices and bicarbonate of soda). Turn out onto a lightly floured surface and knead for two to three minutes until smooth. Wrap in cling film and refrigerate for up to 30 minutes. The dough needs to be really well-chilled so that it is easier to work with when rolling out and cutting. Divide the dough into two and roll out each one between two sheets of baking paper to 1.5cm in thickness (quite thick!). Make sure you roll the dough so that the surface does not have any cracks or wrinkles. Cut out the dough into the shapes of your preference. You will need to reshape the dough to use up all of the scrap bits of the dough and roll out again. Repeat until all the dough is used up. Place the cookies onto the trays and bake for ten minutes, check to ensure that the cookies don't over brown. Remove from the oven and leave on the trays for five minutes, before transferring to wire racks to cool. To make the icing, whisk the egg white until foamy. Add the lemon juice and sugar and stir until glossy. Add some food colouring if you wish to use coloured icing. 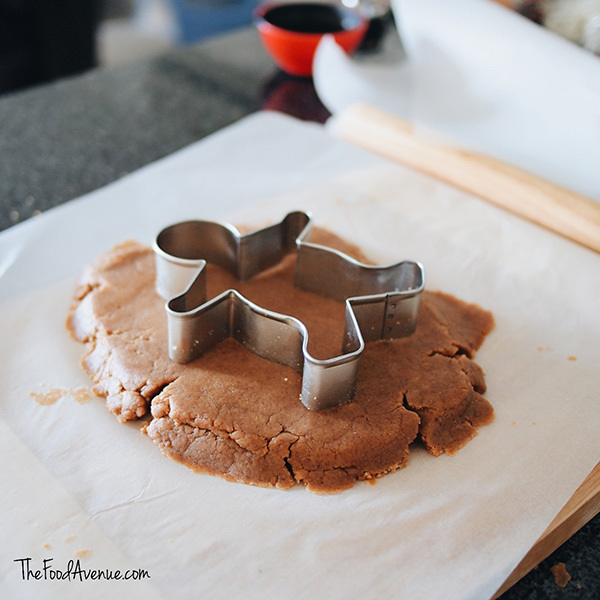 Spoon the icing mixture into a piping bag and decorate the cookies with cool outfit designs. Allow to set. Wrap cookies in clear cellophane and decorate with curling ribbon. How cute are they!! Do you buy your Christmas feast produce at the farmers markets? Why not do your Christmas gift shopping while you’re looking for your Christmas feast ingredients? There are plenty of fantastic Christmas gifts at the markets – the biggest difficulty you’ll have is deciding whether or not you want to give away all those goodies (or keep them for yourself)! The Rotary Club of Hall and Threesides Marketing invited me to come to the Capital Region Farmers Markets to sample the region’s freshest produce and to participate in a food challenge. If I had a $100 gift voucher, what would be my Christmas essentials? Challenge accepted! The hardest part about the challenge for me was getting to the markets early enough. 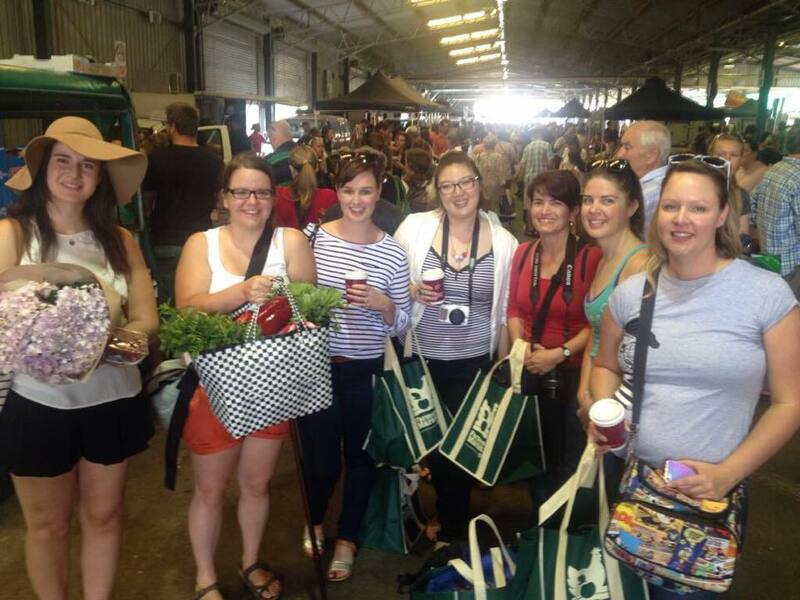 The Capital Region Farmers Market is on at Exhibition Park in Canberra (EPIC) every Saturday 7:30 – 11:30am. I’m usually barely awake at that hour, let alone out of the house. But I was the first one to make it to the markets, with 6 minutes to spare! I was off to a good start. The other bloggers starting arriving and it was lovely to see some familiar faces and meet some new ones I hadn’t met before. The tour of the markets kicked off with an introduction about the markets. We found out that the Rotary Club of Hall started the markets as a community project in 2004 with only 12 stalls. Ten years on, there are 180 stalls on the books (including the seasonal stalls)! The best part about shopping at the markets is being able to talk to the stall holders. They're the ones who made the product and can tell you more about the product and the story behind it. 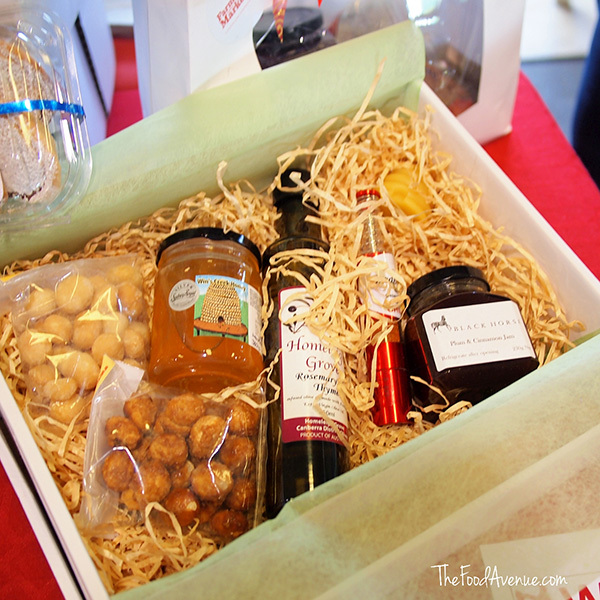 Here are my top picks for edible Christmas gift ideas from the markets! Made in Gundaroo, this is a delicious savoury jam which is great with all varieties of cheese and cold meats. It would make a delicious accompaniment to any antipasto or mezze platter. 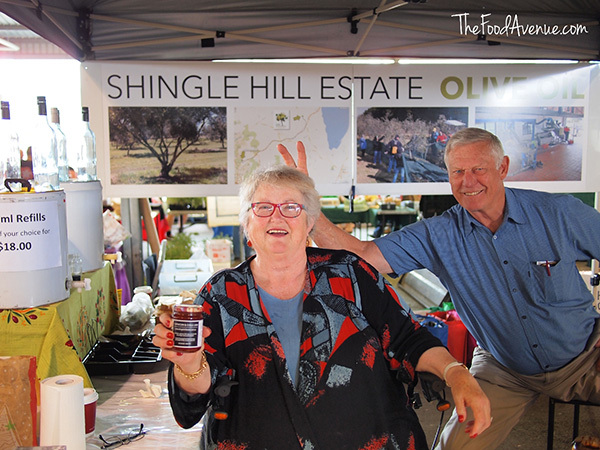 The lovely woman who makes the jam obligingly posed for a photo and her husband jumped in and photo bombed her. How cute are they! It comes in a grinder that you push down and pulverises the garlic and salt mixture into a powder . It would be fantastic in your potato mash or as a seasoning on your meats. Canberra Urban Honey is part of the Honey Delight Family, beekeepers that have been producing honey and keeping bees since 1923. Canberra Urban Honey install and manage urban beehives throughout Canberra to increase the pollination provided by bees. This means that you can taste different honey made from different parts of Canberra. How cool is that! After trying all three types (Belconnen, Tuggeranong and Ainslie), I decided that Ainslie was my favourite flavour! My friend, who is a Northsider, told me not to tell anyone, but her favourite flavour was the Tuggeranong honey! What an awesome gift to give someone honey made from the suburb they live in! This multi award winning date and toffee log has a delicious sticky toffee taste, ready to serve as a decadent dessert or to accompany a cheese platter. For those who are not huge fans of Christmas cakes and puddings, this is the perfect alternative! I loved this infused olive oil made with australian extra virgin olive oil. I wasn't sure I would but the combination just works. Perfect for drizzling over a fresh summer salad. 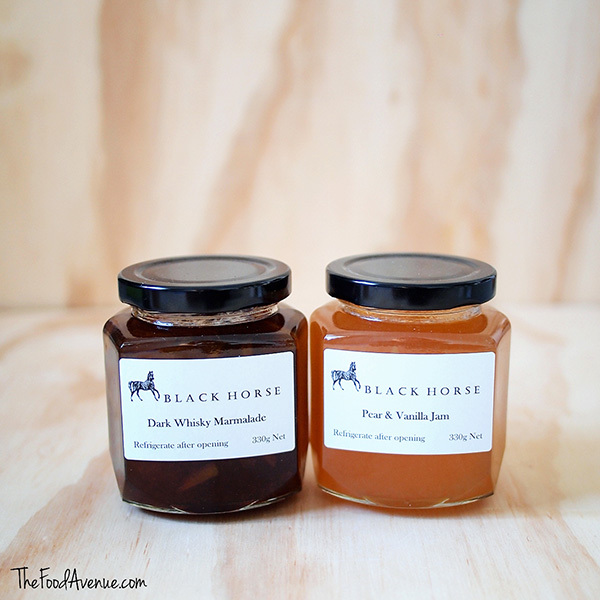 The distinctive whisky flavour gives a unique lift to an already delicious citrus marmalade. I could eat spoonfuls of this straight out of the jar. But civilised people could have it on crackers with a cheese platter. Same goes for the pear and vanilla jam. I loved the punchy flavour to this jam. I use jams in savoury and sweet dishes. Add as a sweet relish-type condiment to barbecued chicken, pork chops or any Asian starter. Or have it on plain crusty sourdough for a change to your usual strawberry jam on toast. For those who are time poor, (and let's face it, who's not these days! ), you can buy a pre-selected hamper. Gift voucher If you don’t have time to pick out and personalise your gifts, you could grab a gift voucher and they can pick out what they want themselves! All you have to do is give the gift voucher to the stallholder and the stallholder will take the voucher and give the remaining amount of the voucher to you in cash. Thanks to Capital Region Farmers Market for my $100 gift voucher and tour of the markets! Another great Christmas gift is the cookbook! The book is packed with recipes and food ideas from many of the Canberra community’s most loved Farmers Market stallholders. The cookbook includes recipes for starters, soups, salads, sides, mains, cakes, biscuits, desserts and more. The Capital Region Farmers Market cookbook is available for purchase for $20 from the Market’s Rotary Help Desk. The Rotary Club of Hall has kindly given me a copy of The Capital Region Farmers Market Cookbook to give away to one lucky reader! I will be counting up all the valid entries, giving each a number, then use a random number generator to pick one person as the winner. They will be contacted shortly after the giveaway ends. The giveaway opens now and runs until 5pm (AEDT) Friday 19 December 2014. Good luck to those entering! And happy Christmas shopping!